At Hilton Head Island the only limit to beach fun is your imagination. Hilton Head Island, on the South Carolina coast, is the ideal place to make memories with family and good friends. 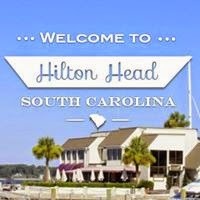 Whether your idea of the perfect vacation is relaxing on the beach, teeing off at a local golf course, perfecting your backhand, riding a thrilling para-sailing adventure or trying your hand at shark fishing you can do it all right here in the heart of the Low Country, Hilton Head Island SC. The entire beach at Hilton Head Island is public, from the ocean to the high water mark; access to the beach, however, is often private. During the beach season lifeguards are stationed in each of the designated swimming areas and other heavily populated beach areas to provide assistance and visitor information. This boot-shaped sea island is truly a paradise nestled along the South Carolina coast - from beautiful sandy beaches and world-class championship golf courses, to excellent restaurants and exciting water-sports, the Island truly has something for everyone, whether you’re here for a family vacation or a quick weekend getaway. A day trip to Savannah or Beaufort, both a 45 minute drive from Hilton Head, can make a perfect getaway to enjoy our nearby neighbors during your vacation. Cherish moment on Hilton Head Island, from sunrise to sunset and beyond. Come rejuvenate your soul, plan your beach getaway today! Browse Photos, Read Reviews, etc.